The Indian market too welcomed the fall in international oil prices and opened marginally higher higher but quickly slipped into the red in line with its international counterparts. Aviation and oil marketing companies' stocks were the top gainers in trade today as brent crude oil prices fell to $62.56 per barrel mark on worries over global growth amid stalling of a weekend meeting to reduce impact of US-China trade war. While the SpiceJet stock gained 5.88%, InterGlobe Aviation rose 2.72% on the BSE. The Jet Airways stock too gained 3.92% on the BSE. Stocks of oil marketing companies too gained in value. While HPCL rose 3.79%, BPCL gained 3.53%. State-run Indian Oil Corp was trading 3.09% higher on the BSE. The BSE oil and gas index was among the top sectoral gainers rising 1.30% or 176 points to 13,729 level. The Indian market too welcomed the fall in international oil prices and opened marginally higher higher but quickly slipped into the red in line with its international counterparts. Every dollar per barrel change in crude oil prices impacts the import bill by Rs 823 crore ($0.13 billion). The same is also the impact when currency exchange rate fluctuates by Re 1 per US dollar. While the Sensex rose 18 points to 35,492, the Nifty gained 14 points to 10,670. Brent crude oil prices on Wednesday recovered some of the previous day's more than 6 percent loss to $61.71 per barrel, lifted by a report of an unexpected decline in US commercial crude inventories as well as record Indian crude imports. Oil prices managed to stabilize after Tuesday's slump. But the market remained shaky, with the International Energy Agency (IEA) warning of unprecedented uncertainty in oil markets due to the economic environment and political risk. Despite an expectation of OPEC-led cuts, Brent and WTI prices have slumped by 28 and 30 percent respectively since early October, and the entire structure of the forward price curve has changed. 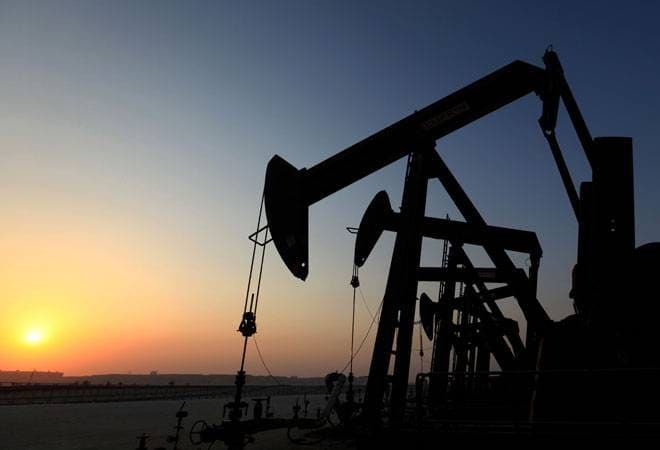 Wednesday's gains came after a report by the American Petroleum Institute late on Tuesday that US commercial crude inventories last week fell unexpectedly by 1.5 million barrels, to 439.2 million, in the week to November 16.